The doodle pays tribute to Sergei Eisenstein that shows a series of film rolls in movement therefore depicting iconic imagery in some of Mr Eisenstein's films. Film montage -- an editing technique that pieces together series of frames to form a continuous sequence - is used in popular films like Fight Club, The Karate Kid, The Godfather and Citizen Kane to name a few. The film editing technique that is used at several defining moments in films dates back to 1898. Sergei Eisenstein - known as the father of montage - was a Soviet artist known for films like Battleship Potemkin, Strike and The General Line which are relevance event in today's time. Today's doodle celebrates the man who brought about the art of montage, Sergei Eisenstein's 120th birthday. 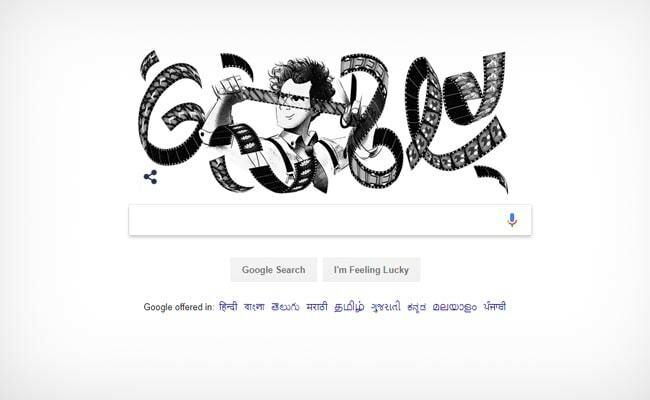 The doodle pays tribute to Sergei Eisenstein that shows a series of film rolls in movement therefore depicting iconic imagery in some of Mr Eisenstein's films. A closer look into the doodle shows sequencing of a number of images in a continuous loop therefore creating the effect of a montage. The doodle also shows a cartoon of a Sergei Eisenstein lookalike, holding a film roll and a scissors depicting a cut or an edit. Sergei Eisenstein was the one to create a new form called 'montage of attractions' - in which images are chosen and then carefully placed sequentially not in chronology, but in a way that would create larger psychological impact thus communicating his idea to the audience. Along with his work on defining motion picture, director Sergei Eisenstein contributed to 'realistic' filmmaking depicting the struggle of downtrodden workers against the ruling class. His notable work, Battleship Potemkin, made on the Revolution of 1905 is widely known as one of the masterpieces in world cinema even today. The film among several other works of Sergei Eisenstein is often termed as the best understanding of the art of motion pictures.